Extra Goodies I've included: 6 o.b. tampons in really cute packaging, Noah's Naturals grapefruit shower gel with plant cleansers, a sample of Nivea Touch of Sparkle cream oil body wash, and Alka-Seltzer's Wake Up Call pain reliever/altertness Aid (perfect after a night out). *You have to be in the US or Canada in order to win this giveaway. awesome goodies, audrey! count me in:) i'm a follower! I'm following Misikko on Twitter! I've joined in Misikko's newletter! And I've liked Misikko on facebook. I'm really like this giveaway. I love beauty products. Wonderful giveaway Audrey....bummer why can't I be in the US hahaha!!!! but its okay will still follow the product in twitter and of course will watch more about their products...thanks for you wonderful comment my dear!!! 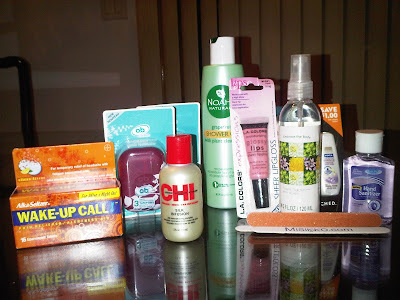 Awesome giveaway, those are great little extras that you have included! I want to be entered. I am a follower of your blog. I'm liking Misikko Beauty on Facebook. I'm following Misikko and you both on Twitter. Awesome giveaway! Of course I'm a follower, and if this thing will make my hair look like yours, I want in! XO! I like Misikko on FB! I posted a comment on their FB page! 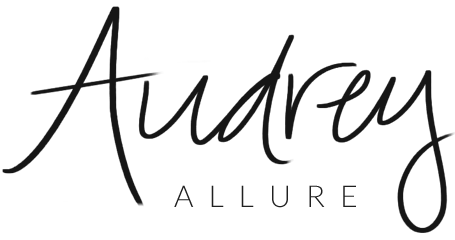 I'm an Audrey Allure fan on FB! Already following you on Twitter! XO! Excellent giveaway dear! I follow you! What a wonderful giveaway! I follow! I LOVE Misikko products; therefore, I'm ever so slightly obsessed with this Giveaway! PS. I'm following Misikko on twitter. Definitely good luck to all those entering the competition. This makes me think that for blog anniversarys I should organise a giveaway or something! following! this is such a cool giveaway! I am a fan on FB of Audrey Allure! I already receive the missiko newsletter daily. Great giveaway! I follow, of course. This is the best giveaway ever!! I saw the Chi products on the Miss Universe pageant. :) I've wanted to try it ever since! What a lovely giveaway :) I would like to participate in it.